This is going to be so much fun! My friend Birgit Koopsen and I are teaching at a Creative Retreat in Turku, June 6-7, 2015 , which will be held on a Museums Cruise Ship. You can read all details here. It starts the moment you sit down, an experience that is distinctly Art Journaling. A quick exhilaration, a sense of control, the art media’s surprising responsiveness as if they were simply an extension of you. There is a word for this creative experience: Artvergnugen! 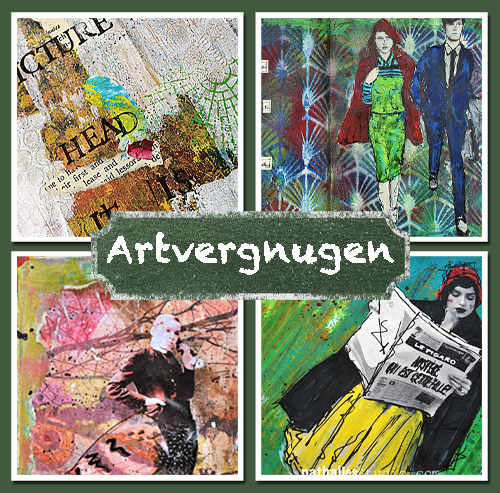 Artvergnugen is what makes your journal a piece of art. 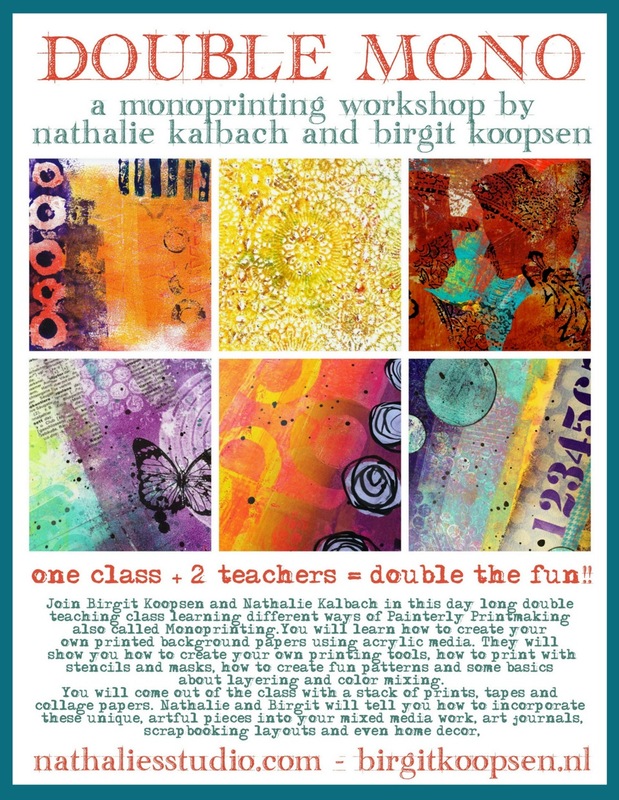 Join Nathalie for a half-day workshop and play with different art media and supplies. Learn techniques, tips and tricks to take your art journaling further and turn it into Artvergnugen. You can sign up here – if you are on the fence, decide soon, I was just told, the event is almost fully booked. Thanks, we have amazing weekend. just can´t wait for your Double Trouble week-end. Is it a show with cancan dance and paints, a performance with gesso or a mystery story with two lost adhesive tubes?